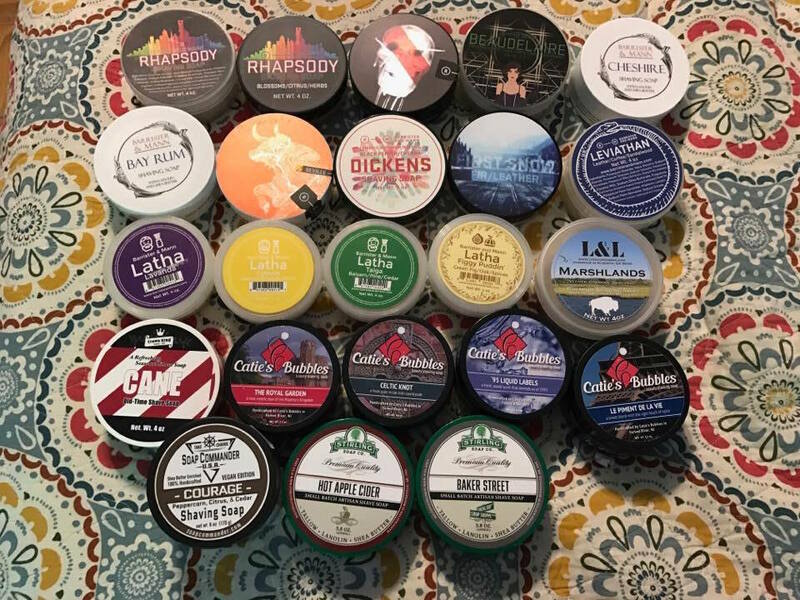 Big Soap Clearance! PRICE DROPS! 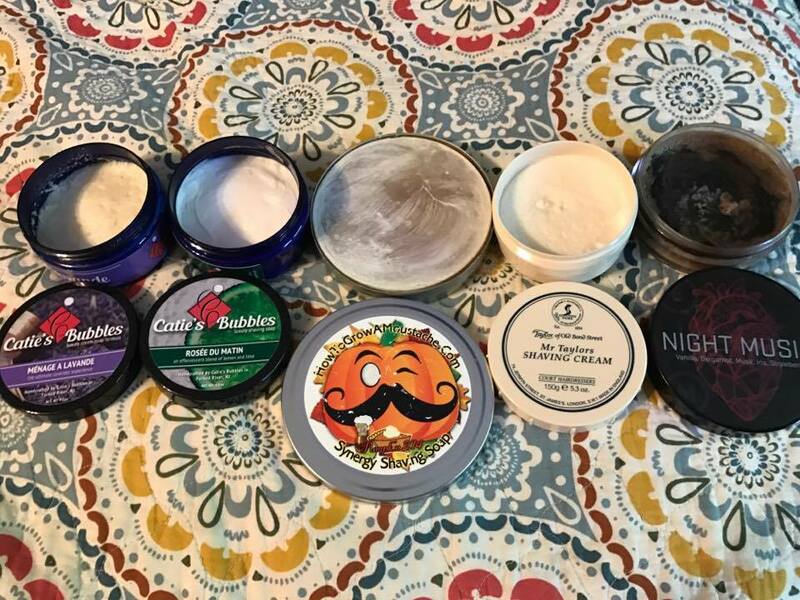 Want to Sell Big Soap Clearance! PRICE DROPS! 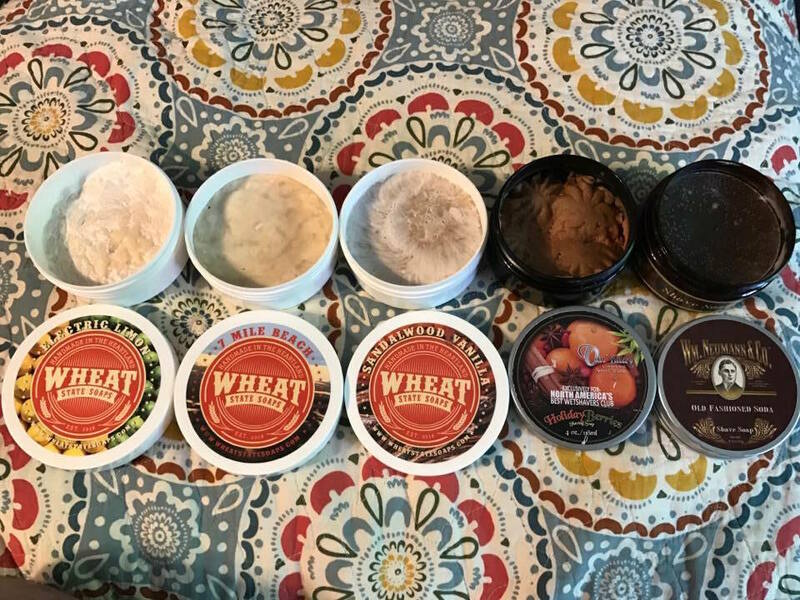 My soap addiction is getting out of control! Many of these are duplicates that I'll never get to. Shipping in the US is a flat $5 no matter how much is purchased. I'd rather keep this sale domestic. B&M Rhapsody, older formula - $15 NOW $14! B&M Beaudelaire - $15 NOW $14! B&M Dickens - $13 NOW $12! B&M Latha Lavanda - $8 NOW $7! B&M Latha Taiga - $8 NOW $7! Crown King Cane - $12 NOW $10! CB Celtic Knot - $11 NOW $10! Soap Commander Courage - $11 NOW $10! Stirling Hot Apple Cider - $10 NOW $9! Wheat Soaps Electric Limon - $12 NOW $11! Wheat Soaps 7 Mile Beach - $12 NOW $11! Wheat Soaps Sandalwood Vanilla - $12 NOW $11! Van Yulay Holiday Berries - $6 NOW $5! Wm Neumann Old Fashioned Soda - $8 NOW $7! Soap Commander Endurance - $10 NOW $9! SC Respect - $10 NOW $9! Chiseled Face Summer Storm - $11 NOW $10! 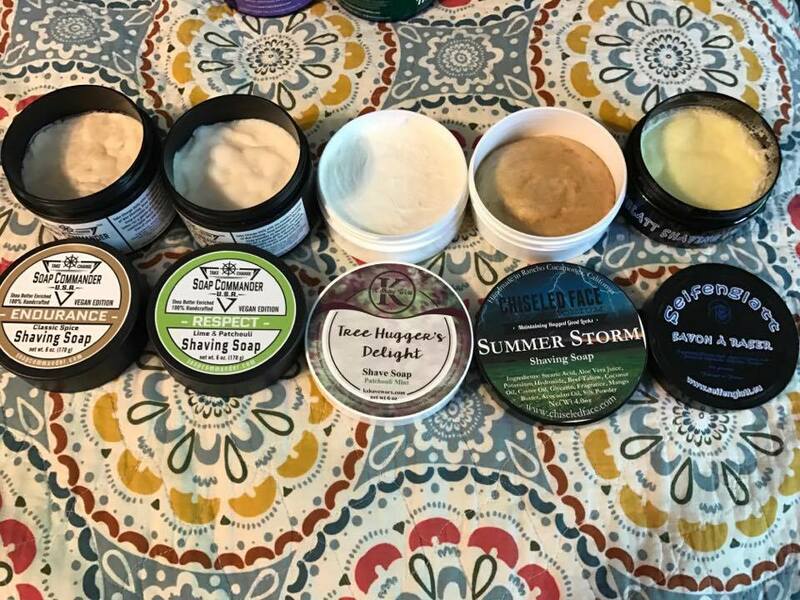 Seifenglatt (Soap Smooth) Montpelier - $8 NOW $7! Caties Bubbles Menage a Lavande - $15 NOW $14! CB Rosee du Matin - $9 NOW $8! HTGAM Pumpkin - $10 NOW $9! TOBS Mr Taylors Cream - $10 NOW $9! B&M Night Music - $18 NOW $16! B&M Dickens, older formula - $15 NOW $13! B&M Adagio - $18 NOW $16! B&M Seville - $14 NOW $12! CL Delor de Treget - $12 SOLD! CL Vide Poche - $12 SOLD! CL Gratiot League - $12 SOLD! CL Le Foret de Liguest - $12 SOLD! CL Fourth Pine - $12 SOLD! B&M Lavanille - $15 SOLD! B&M Seville - $13 SOLD! B&M Fireside - $25 SOLD! L&L Marshlands - $14 SOLD! L&L Darkfall - $14 SOLD! L&L Cuir et Epices - $14 SOLD! Aqua di Parma - $30 SOLD! B&M Hallows - $19 NOW $17! SOLD! CB Le Piment de la Vie - $11 NOW $10! SOLD! B&M Rhapsody, newer - $15 NOW $14! SOLD! B&M Cheshire - $13 NOW $12! SOLD! B&M Bay Rum - $13 NOW $12! SOLD! B&M First Snow - $14 NOW $12! B&M Leviathan - $16 NOW $15! SOLD! B&M Latha Limon - $8 NOW $7! SOLD! 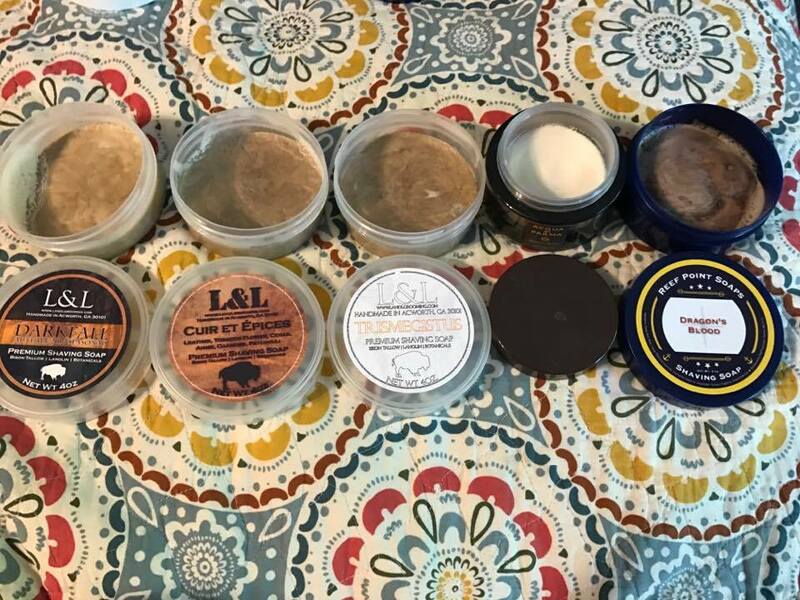 B&M Latha Figgy Puddin - $8 NOW $7! SOLD! Caties Bubbles The Royal Garden - $11 NOW $10! SOLD! 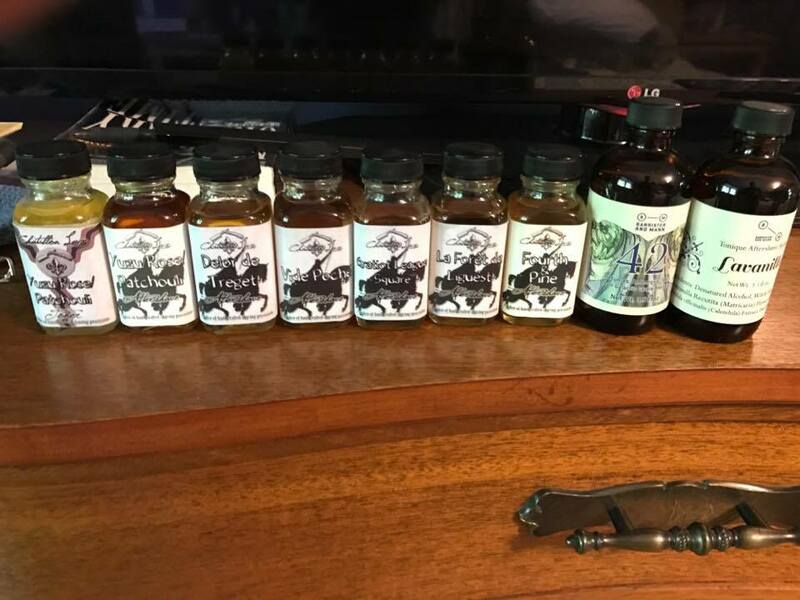 CB '95 Liquid Labels - $11 NOW $10! SOLD! Stirling Baker St - $10 NOW $9! SOLD! Reef Point Dragon's Blood - $10 NOW $9! SOLD! 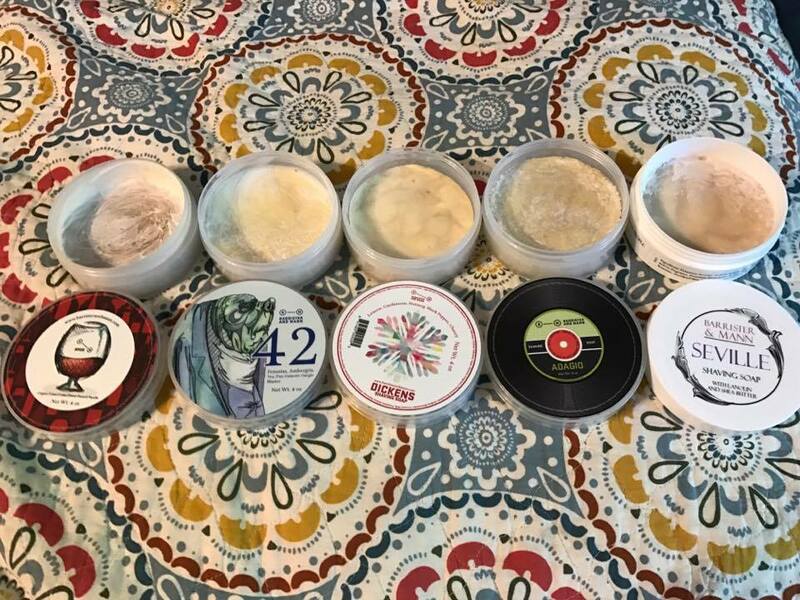 B&M 42 - $14 NOW $13! SOLD!